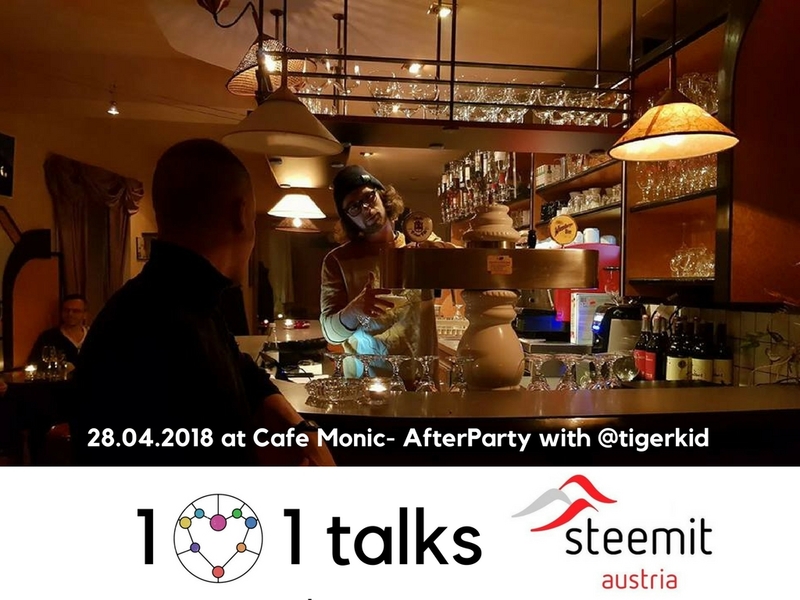 Last Saturday at the occasion of the 1st year of #steemit-austria and its 6000 members, our lovely steemit ambassadors were organizing the 1st 1on1talk steemit meetup! The event format serie based on the reflective constructivism philosophy and dedicated to foster exchanges by providing a space with multiple setups for discussions has been very offering the participants to find in one of the 8 different setup dedicated to 4 eyes and one to few or many conversations and presentations. Were present: @nicoletta, @manncpt, @jnmarteau, @opt2o, @globalschool, @innovations, @workshops, @hackathons, @solidarity, @covermaker, @steemshirts, @neomad, @ccommons.art, @inyoursteem, @frameworks, @generationeuropa, @jonas.schreiner, @sciencevienna, @doejane, @mundharmonika, @artpoet, @reconnectnature, @gexi, @vienarch, @tigerkid, @pizzajohn, @silkroad40, @smartcoins and @austroboost. From a IOT pan-eurasian tour to a #blockchain #steem #eos pan-eurasian meetup tour? How this is happening? With @silkroad40, #steemit-austria the #deutsch community and the support of notably @teekingtv and @ccommons.art we get the idea to co create a #blockchain #mobility #empowerment #academy. Because we think mobility foster learning and social grow! Invited by @manncpt to introduce what I am working on, I started with the first comers a short presentation of the "Future of travel & learning" Awards event, annual program and partnership opportunities. During my short presentation I get the occasion to introduce the "blockchain mobility empowerment academy"
a solution for the traceability of the continuous flow/evolution of learning through mobility. I explained to the participants what is this com-lab and how they can participate to the bottom up open laboratory. The aim of the com-lab is to bring the various stakeholders of multi usage spaces (public and privates), coworking, shared rooms (guest houses) and the steem communities to realize a need assessment of the solutions they need the com-lab outcomes to implement within a serie of proposals and a tentative program such as mentioned above merging the various ideas of the stakeholders (community members). A program our traditional and new media experts from @silkroad40 and @globalschool participants would promote with the steem communities inviting @limesoda, @martinamartini, @reiseamateur, @reconnectnature, @manncpt, @wolfgangsieberth, @alexandravart, @stellabelle, @mammasitta, @sciencevienna and all the other motivated steemians to represent their organization, companies, collectives groups or ideas related to the realization and implementation to such yearly program which could frame the integration, support and empowerment of newcomers and of contributors committing to it and increasing the value of the communities and of its members. What if the excellent standing of quality of life and advancement in terms of @innovations of Vienna was due to its rich diversity and combination of talents joining here from around the world to co create and market? Personally, in my experience, coming from brussels, it is because of the trust and empowerment of the combination of locals, guided by French migrants who loved the city so much that I get convinced to stay here. I couldn't be awarded consecutively these last 4 years without the support and attention of dedicated Viennese friends with whom we behave with each other such as part of a same global-village-family transcoding, deciphering, transposing meaning on the path of the unknown through derision and consistency. 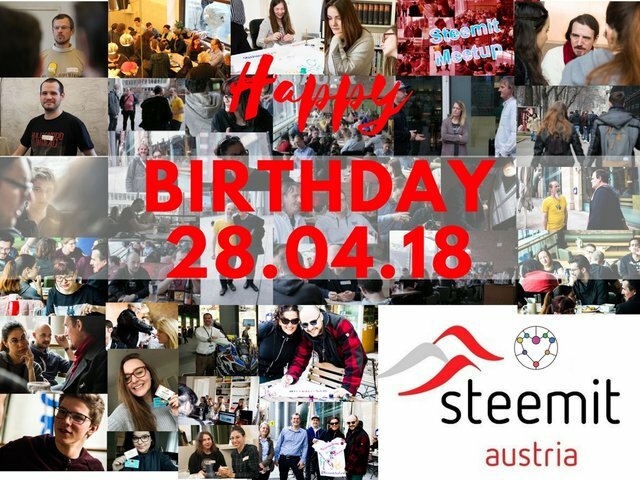 To resume, for the moment, it is a tentative invitation to develop with the motivated steemians a "#blockchain mobility empowerment academy", including 3 phases to temporise the next year of steemit-austria within a frame to empower the community, neighborhoods and newcomers using the fields of opportunities offered by the rich combination of cooperation that the incredible city and communities of Vienna is sharing. #Vienna - A blockchain ecosystem at the city scale for 2020? Exchanging passionately with Joel (@smartcoins) we came to the conclusion that it would be possible to apply for the #blockchain for social good awards supported by the European Commission with an interface dedicated to inter exchange between individuals ICO tokens balancing with a city or regional token creating internal value which can be exchanged on the international market via the EuroSystem. A way to market the gift and solidarity economy (aka the Immersive Internet within a next iteration) with an interactive ecosystem, value chain and network. in a hyperconnected world, we are supporting the ideas that it is becoming a necessity to provide a talent management program to empower, guide and coach individuals. A platform by and for digital nomads with which we hope to cooperate with @lizanomadsoul, @anomadsoul, @inquiringtimes, all the digital-nomads and #travel communities! With Vincent, we presented @neomad and co-home, projects Vincent agreed to bring on the steem #blockchain and organize together some @globalschool @workshops & @hackathons in the next week (contact me or join the "com-lab" server here and check for the category global school and the room hackathons or workshops to share your idea, kno more ho to participate or if you want to offer workshops/training etc...). Vincent is a digital nomad, it is how he came up with the idea to create http://neomad.org, meeting @wolfgangsieberth, @preinisch, @manncpt, @smartcoins and me, Vincent also accepted to cooperate on @frameworks and bring the space (transitional concept towards the @ideamachine wien, based on the Idea factory*, endorsed by the Internet of Things Europe, the MA18 - City planning budget and Smart City Wien) to a alpha version to become a real autonomous #cryptoart space based on the blockchain. An ecosystem to foster co creation, entrepreneurship and creativity offering the digital nomads and travelers a network of self replicable spaces caring for the community, calling for contributors and rewarding them. *Idea Factory: realizing the @ideamachine work program, the ideafactory is blueprint of a multi sided learning ecosystem (See Future Media Internet Ecosystem & ELMS using participatory immersive serious games principle at the city scale), enabling to ensure the chain of production of content to the distribution fostering empowerment, trust, through a combination of synergies and cooperation supporting citizen ideas, providing real time routes to access resources, people/communities of practices and connections to increase their impact (See mapchanger *for the 3d interface prototype). *mapchanger: next generation internet cartography enabling the epistemological overview of a concept, idea or meaning - acting as an interactive guide for global citizen the project of open source generation of the city aims to offer an interface such as a 3d visual thesaurus (mix between the sims, a 3d map of the world, neomad, wikipedia and a tool to manage smart contracts enabling calls for contributions, tasks management, and rewards distribution) unifiying the physical, digital and human interactions via a real time rendering of routes to achieve community member (user centered) goals. 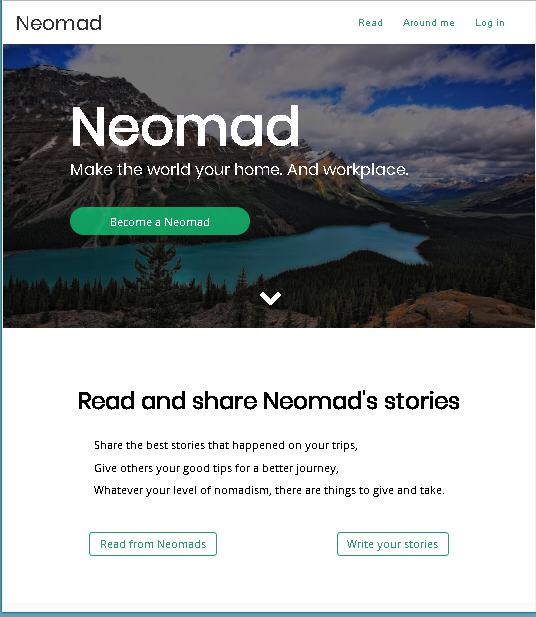 Check out more here: http://www.neomad.org and do not forget to follow @neomad on steemit to show your support! @gexi (Samuel) presented his company MUK IT specialized in ERP developing modules for the odoo platform. Forecasting the difficulties for business Samuel, shared his concerns to envision the usage of the blockchain considering the eventual forthcoming European Laws and how it can become complicated. Samuel explained us the various kind of tools and modules his company is developing and offered to contribute to the @frameworks project by supporting the accountability aspects with dedicated tools. @smartcoins explained the complexity of the algorithm of @austroboost, the 230 points, white-list enabling the system to learn considering the behavior of the steemian selected for training the bot. Joel was meeting a good friend of him this sunday to see how to develop further cooperation for @austroboost as well as for projects such as @frameworks. Each presentation followed by 1 on 1 talks. 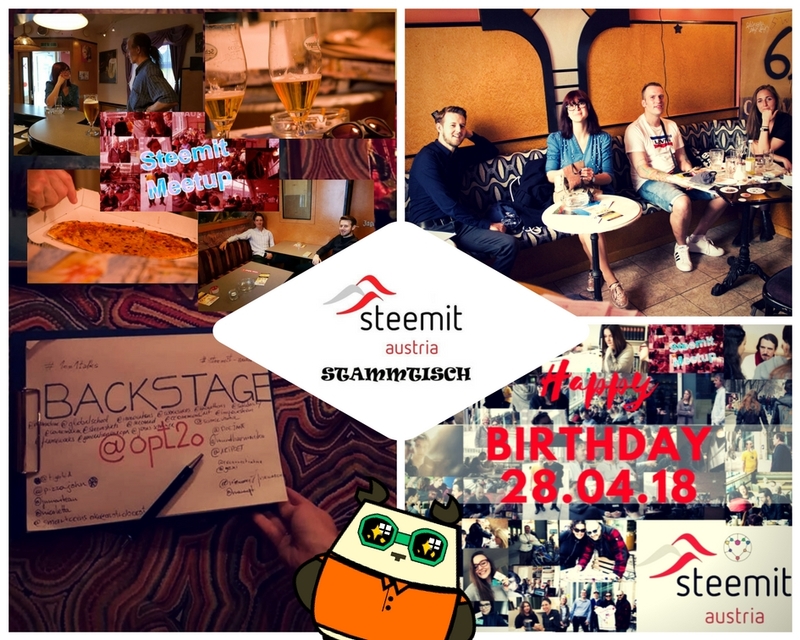 To celebrate the 1 year anniversary of #steemit-austria, @manncpt invited @pizzajohn on steemit and launched a campaign to motivate steemians to communicate about this small company who agreed to come on the blockchain and for this occasion to give 10 pizzas in exchange of our testimonials! @Pizzajohn your pizzas are awesome and you are just amazing, thanks a lot for your work and trust! After 8 hours of talks, here my perspectives on the outcomes. "The blockchain empowerment academy" - A year program for next year to empower creativity and entrepreneurship via mobility supported by steemit-austria and the founders of @austroboost will be published soon as a community proposal. @gexi will cooperate with @globalschool to develop accounting modules and smart contracts to enable @frameworks and all the @bots we are planning to produce with @smartcoins to automatize all the financial process as well as to distribute the shares with all the stakeholders. @reconnect nature envision to organize @workshops with @globalschool and @neomad. One of the goal of implementing a year program is to drive a pilot study for the next generation internet within a @solidarity #economy implementing a blockchain ecosystem at the city scale. Joel (@Smartcoins) is planning to cooperate with @ccommons.art, @globalschool, @generationeuropa & @opt2o in order to create a new generation off bots to support the community of active contributors. @globalschool: will guide the participants to increase the quality of their publication by providing game-like intensives. @inyoursteem: in cooperation with @ccommons.art and hopefully @creative-commons, @inyoursteem will regularly call for manual curators & visual artists to produce unique cover combining artwork of featured artists while empowering CC contributors by generating a regular wall of fame to reward featured artists. @frameworks: will call for contributors, motivate them with game-like tasks intensives and share rewards to the steemian contributing as well as capitalizing to enable @frameworks to reproduce itself while reaching the proper conditions. 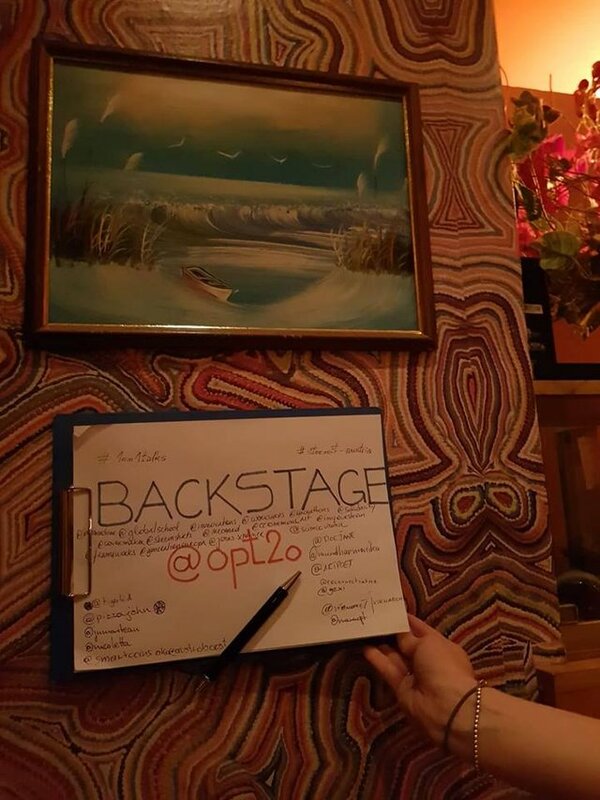 @silkroad40: in cooperation with @opt2o and @teekingtv the @silkroad40 bot will boost all the steemians contributing to the dessimination of the steem pan eurasian meetup tour as well as of @silkroad40 in general. @pizzajohn: will support all the steemians promoting @pizzajohn. Thank you for the invitation, the steemians from #steemit-austria and the pizza from @pizzajohn were both a real pleasure! Happy to be part of #steemit thanks to all of you! I can't wait to bring neomad.org on the blockchain with you! Thank you for your welcoming and support! Would be great to see you again! Hi Jean, you must have misunderstood me in ceratin terms. i liked the idea of a regional token for the city of Vienna (or any other city) in order to create more local autonomy and independance from kleptocratic institutions like the [un]european Union or any state that extorts money from their own people at gunpoint. As a Libetarian and advocate for property freedom and free Market i strongly disaprove of any cash or economical system trough the Euro system, clearly. Any project that comes from a monopolist like the EU can never be an bottom up Solution (this is a contradiction in itself). We saw this very well during the financial crisis 2008 where the even old retirees in Greece were robbed under the Motto "Too big to fail" in order to stabalize financial system. EC learned nothing from this, in 2008 europeans had too bail out banks with taxmoney, money that was gone anyway, today europeans have to bail in with the funds in their account, while the upcoming abolition of cash money in Europe forces people to open bankaccounts . So today people are forced to give credit to the Banks and take the risk if the bank files bankrupcy. Thanks to the EC, ECB EU and so on. Let us remember the Bitcoin and the Blockchain were created to avoid things like this in Future. The distributed ledger was invented in order to protect wealth from market manipulation of centralized institutions and it did it very well. A lot of people in third world countries with weak national currencies were able to use bitcoin as a hedge to their local currency in order to create and protect their wealth or even free themself from debt, only by the forces of the free market. So i am asking you why do we need to work together with the same monopolists that caused the crisis the lead to the invention of Blockchain and Bitcoin. I am honestly sorry to say, because a lot of your ideas i liked very much. And i believe that you believe in your ideas and are very passionate about it but i also believe that you cooperate with the wrong institutions. ps: we should think wise on how to implement such sustainable solutions and how to integrate old structures and conventional systems and not perpetrate what we do not like about them. 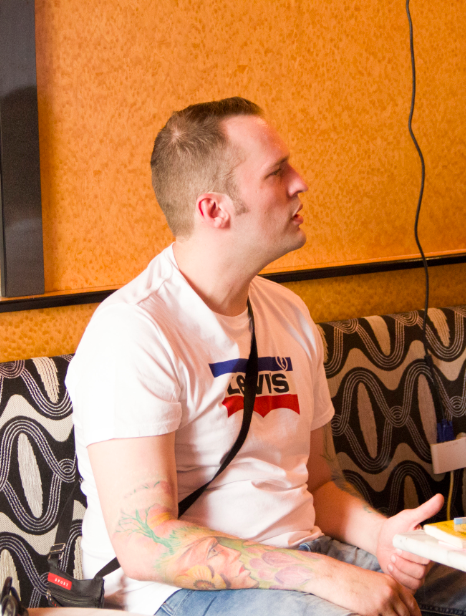 Great report and amazing pictures Jean :) Really enjoyed the 1o1 meeting, it was fun, refreshing, and very informative and handful; for the newcomers like me :) Really looking forward to the next event!